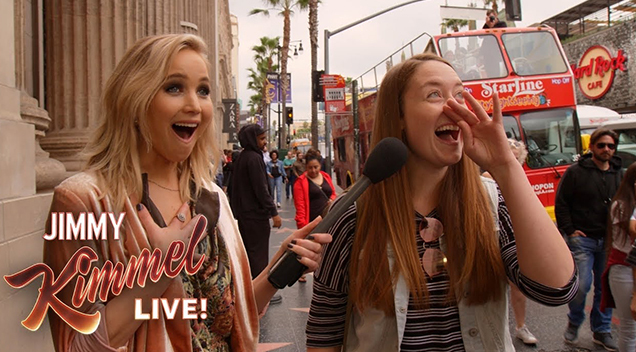 Guest Host Jennifer Lawrence Decided To Surprise People on Hollywood Blvd. 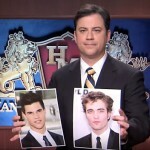 Their Reactions Were Priceless! What would you do if the stunning Jennifer Lawrence approached you out of the blue and asked you to name five of her movies? JLaw was guest hosting for Jimmy Kimmel and she decided that she wanted to mingle with the locals and try and see if they recognize her. Their reactions were pure gold.